Burry’s entire line of products is available through Dot Foods. 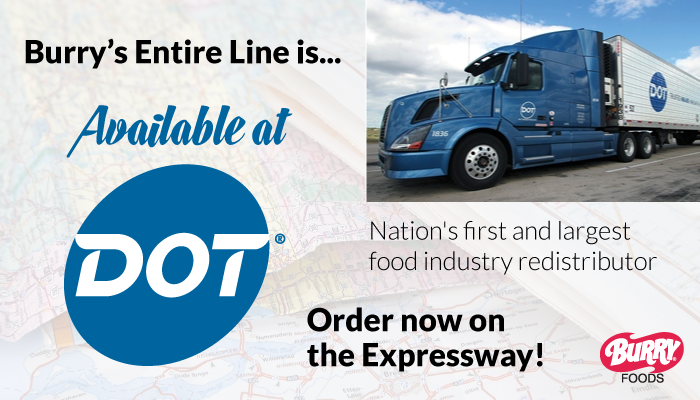 Dot Foods is the nation’s first and largest food industry redistributor, Dot Foods’ has nine distribution centers serving all 50 states and over 25 countries. More information on Dot Foods can be found here.